As we recently reported on our Boston Car Accident Lawyer Blog, it’s National Teen Driver Safety Week. During this time, parents are asked to step in and to talk with the young drivers in their family about the risks and the consequences of poor driving habits. These inexperienced drivers are more likely to get into a car accident than any other age group of drivers. 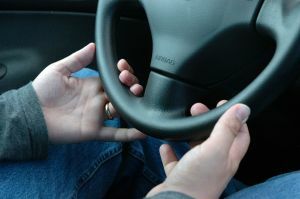 According to The Examiner, passengers are one of the main reasons why these young drivers have such high accident risks. A new study shows that teens engage in more dangerous driving behaviors when a young passenger is present as opposed to when there are no passengers in the car or when there is an older passenger. The recent study was conducted by the AAA Foundation for Traffic Safety and was released just in time for National Teen Driver Safety Week. Our Boston car accident lawyers understand that a good chunk of fatal car accidents that occur with a teen driver involve young passengers, too. This is why many states have enacted passenger restrictions for their newly-licensed drivers. “This much is certain: mixing teen drivers with teen passengers is simply toxic,” said John Townsend with AAA. According to the Insurance Institute for Highway Safety (IIHS), teens in the state of Massachusetts are not allowed to have any passengers present in the car who are under the age of 18 during the first 6 months of their restricted driver’s licensing stage. From 12:30 a.m. to 1:00 a.m. and from 4:00 to 5:00 a.m., this law is only secondarily enforced, meaning that an officer has to witness a young driver breaking another law behind the wheel before they can be pulled over for breaking the passenger law. All other times, this is a primarily enforced law. In all of these cases, family members are exempt. The AAA study also concluded that these young drivers are more likely to get into a fatal accident when driving at night. That’s covered in the state’s graduated driver’s licensing (GDL) program, too. According to the IIHS, these young drivers are not allowed to drive from 12:30 a.m. through 5:00 a.m. Again this is a law that’s only primarily enforced some of the time as well. Because these laws are not always primarily enforced by law enforcement officers, parents are asked to step in and to create a parent-teen driving contract. What this does is it enforces specific driving rules within your own household. It’s important to lay down the consequences for breaking these household driving rules, too! In the state of Massachusetts, the night driving restriction for permit holders under the age of 18 is not enforced if they are accompanied by a licensed parent or guardian. Not only is it a good idea to offer your teen supervised driving time during the evening hours, but you should do this in all kinds of driving situations. Supervised driving time with concrete feedback from a more experienced driver will help to teach your young driver the safe skills they need to be safe on our roadways. If you or your teen driver has been involved in an accident, contact the Law Offices of Jeffrey S. Glassman for a free and confidential consultation to discuss your rights. Call 1-877-617-5333 today!